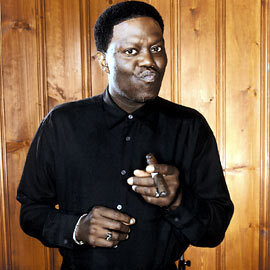 October 5, 1957 Bernard Jeffrey “Bernie Mac” McCullough, comedian and actor, was born in Chicago, Illinois. Mac started as a stand-up comedian around Chicago and in 1989 won the Miller Lite Comedy Search. His first major acting role was in the 1995 film “Friday“. That was followed by other roles in films primarily directed at Black audiences. In 2001 he was able to break from the traditional “Black comedy” genre with his role in “Ocean’s Eleven“. Also in 2001 his semi-autobiographical situation comedy “The Bernie Mac Show” debuted on Fox Television. That show won an Emmy Award for Outstanding Writing and a Peabody Award for excellence in broadcasting. In 2004, Mac had his first starring role in the film “Mr. 3000“. Mac died on August 9, 2008. Just prior to his death he completed work on the film “Soul Man” which was released in 2008.